Rev. J. Phillips Noble, author of Beyond the Burning Bus: The Civil Rights Revolution in a Southern Town, took part in the fiftieth anniversary of the Freedom Rides this May in Anniston, Alabama, where the 2011 Student Freedom Ride passed through to commemorate the 1961 bus bombing. He reflects on the role the citizens of Anniston played in the celebration, and what the restorative power of forgiveness and respect can do to the town once divided by hate. Anniston welcomed the forty Student Freedom Riders on May 11, 2011. The painted bus with “Freedom Riders” written in large, bright yellow lettering pulled on to Noble Street to be warmly welcomed by members of the Spirit of Anniston Board. They were treated with an elegant dinner of southern food at the Classic Restaurant on Noble Street. The forty Freedom Riders were selected from an application list of about one thousand who applied. The ones selected were from all over the United States and several foreign countries. Most of them had never been to the South and were not familiar with its history and culture. After the dinner, the group was taken to the Anniston Public Library for a reception and program. With about fifty-plus Anniston citizens, the Freedom Riders heard from members of the Spirit of Anniston details about the bus burning and various ones were recognized for the part they played in helping the city to deal with the crisis and issues that were brought to a head by the burning of the bus. They were surrounded by pictures that traced the events leading up to the bus burning to the graphic conclusion with the bus in flames and Freedom Riders lying on the ground and KKK men standing around with their clubs. The program was highlighted by the introduction of several of the original Freedom Riders, all of whom were quite elderly. And also the girl who brought water to the injured Freedom Riders, now living in California, was there. She was a real heroine. Several who were on the bus when it was attacked made moving statements about their experience. While deep emotion was being felt as stories were told, the most moving thing that happened was when Richard Couch stood up and said his father was a part of the KKK attacking the bus and he wanted to apologize and ask forgiveness for what his father did. Being near Hank Thomas, one of the Freedom Riders, Richard extended his hand and Hank reached out his hand and they embraced with eyes filled with tears, and there were many tears all around. It was a profound moment with deep and maybe spiritual meaning for everybody. The students seemed especially touched. What a contrast from the hate fifty years ago and the expression of forgiveness and love in this moment. The next morning the group, including professional and media photographers, and the Spirit of Anniston leaders and other Anniston citizens gathered at the site of the Greyhound bus station to see a wonderful mural painting of the Greyhound bus. Then the group moved to the site of the Trailway bus station where there was a mural painting of the Trailway bus. It looked so real that one almost felt they were standing there waiting to get on the bus. The Freedom Riders, with amazement and excitement, got on the bus for a four hour ride to Nashville. Many of us who knew Anniston fifty years ago and could see the transformation that had taken place had a strange feeling inside and were grateful that now a whole race of people have the harsh system of segregation removed so they may feel a new since of freedom and experience a new world of opportunity. Beyond the Burning Bus: The Civil Rights Revolution in a Southern Town, by Rev. J. Phillips Noble, is available from NewSouth Books, Amazon, or your favorite local or online book retailer. The civil rights history of the Freedom Rides has been well documented in a number of fine and award-winning volumes. But until now there has not been a short history on the subject. 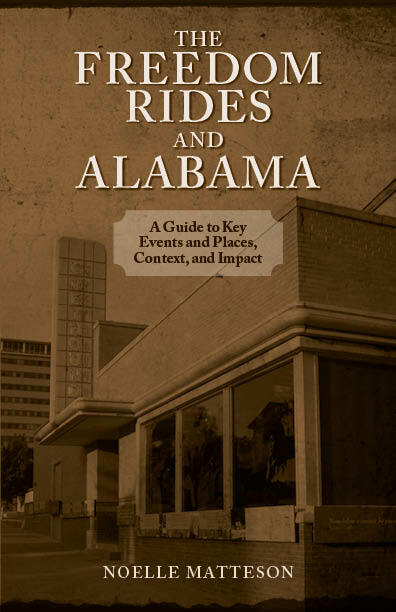 The Freedom Rides and Alabama by Noelle Matteson, newly published by NewSouth Books, is a much-needed account: a concise guidebook which describes key people, places, and events and which provides historical context for the rides. It gives special emphasis to the Freedom Riders’ experiences in Montgomery, Alabama, describing the violent white mob that greeted the riders and the ensuing mass meeting at First Baptist Church, where leaders such as Martin Luther King Jr. and Fred Shuttlesworth spoke. The Freedom Rides and Alabama is published by NewSouth Books on the occasion of the 50th anniversary of the Freedom Rides and in collaboration with the Alabama Historical Commission (AHC). It is released on the eve of the anniversary events planned by the AHC in connection with the opening of the National Freedom Rides Museum at the historic Greyhound Bus Station site in Montgomery, Alabama on May 20. To learn more about the Freedom Rides and the museum’s creation, check out Allison Griffin’s article “Freedom Rides: Historic bus station’s transformation into a museum now complete” in the Montgomery Advertiser. The Freedom Rides and Alabama: A Guide to Key Events and Places, Context, and Impact is available direct from NewSouth Books. The Oprah show brought together today 179 participants from the 1961 Freedom Rides, in tribute to the fiftieth anniversary of the beginning of that movement. 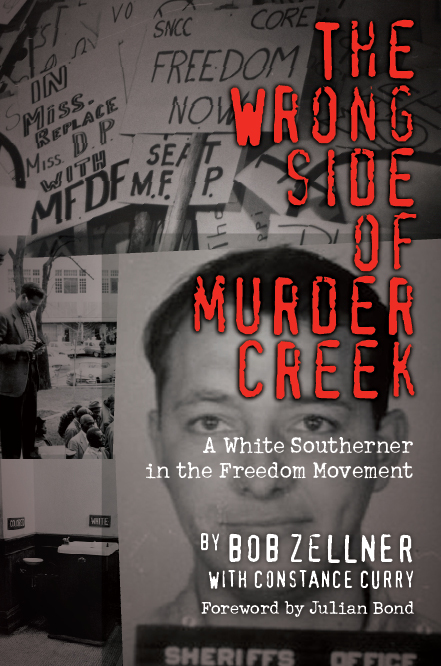 In attendance was NewSouth author Bob Zellner, a SNCC field secretary who describes his experience with the Freedom Rides in his memoir The Wrong Side of Murder Creek: A White Southerner in the Freedom Movement. Participants in the Freedom Rides or related events that spoke to Oprah included Congressman John Lewis, Genevieve Hughes Houghton, Hank Thomas, and Diane Nash. Oprah told how Lewis was “beaten bloody by an angry white man” at a South Carolina bus terminal; that man, Elwin Wilson, later apologized to Lewis, and the two appeared on stage holding hands. Houghton and Thomas spoke about the Freedom Riders’ arrival in Anniston, Alabama. There, a mob set the Freedom Riders’ bus on fire; Janie Forsyth, a twelve-year-old who tried to help the Riders, described the burning bus as “horrible … like a scene from hell.” The burning of that bus lead the residents of Anniston to form a biracial committee to desegregate the city; Rev. 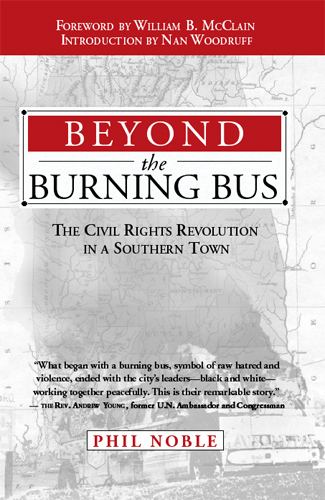 J. Phillips Noble, the first chair of that committee, recounts these events in his memoir Beyond the Burning Bus: The Civil Rights Revolution in a Southern Town. Zellner would go on to become a field secretary for the Student Nonviolent Coordinating Committee (SNCC) and participating in a number of civil rights protests, including being beaten severely in McComb, Mississippi. His story is also the subject of a new movie, Son of the South, with executive producer Spike Lee, in theaters in 2012. In the television episode, Oprah called the Freedom Riders “American heroes,” noting that “this country would be a very different place” if not for them. NewSouth is pleased by a number of events taking place to celebrate the Freedom Riders, including a 2011 Freedom Rides student bus tour that will meet with Rev. Noble later in May, and a new PBS documentary about the Freedom Riders airing May 16. Video from the Oprah Winfrey show episode about the Freedom Riders is available at the Oprah.com website. Rev. Noble’s Beyond the Burning Bus and Bob Zellner’s The Wrong Side of Murder Creek are both available in hardcover and ebook formats from NewSouth Books. You are currently browsing the archives for the Freedom Riders category.